Phil Mahre is quite possibly the finest alpine skier this country has ever produced. A true “iron man” on the amateur and professional circuits, he gave it his best at all times and it shows! Always a soft-spoken gentleman, Phil let his racing do the talking for him. Phillip “Phil” Mahre was born on May 10, 1957 in Yakima, Washington four minutes before his brother, Steve came into the world. The Mahre boys, Phil and Steve, developed into a great one-two alpine punch on the Olympic, F.I.S. and World Cup circuits. Phil Mahre was probably somewhat the stronger skier of the two which is not to say that Steve was a slouch! Phil had a most distinguished and enviable race record in this country and abroad. He was also very durable, having only three accidents in his career; strangely enough, only one being brought about because of competitive skiing. The first was a broken leg in an avalanche in 1974 and the second was a re-fracture of the same leg in a fall from a playground slide. In March of 1979, he broke his left ankle at the pre-Olympic GS at Lake Placid. Phil was named to the U.S. Ski Team “B” Squad in 1973 but missed the 1974 season because of the broken leg caused by the avalanche. He missed the start of the 1975 season because of the slide injury, returning to competition in February, 1975, winning the United States Ski Association National Giant Slalom title in his first race of that year. In all, Phil won the national men’s national slalom titles on two occasions, in 1980 and 1981; and five giant slalom titles in 1975, 1977, 1978, 1979 and 1981. He was a member of three U.S. Olympic Teams: the 1976 Olympics at Innsbruck, Austria where he placed 5th in the giant slalom; the 1980 Olympics at Lake Placid, New York where he won the silver medal in the slalom and the gold medal in the alpine combined and the 1984 Olympics at Sarajevo, Yugoslavia where he won the gold medal in the slalom and placed 8th in the giant slalom. He was a member of two F.I.S. World Championship Teams: the 1978 Championships at Garmisch-Partenkirchen, Germany where he placed 8th in the slalom and the 1982 World Championships at Schladming, Austria where Steve won his WC gold medal in GS. Phil was also a stalwart member of the U.S. Ski Team on the World Cup Circuit where he was first in the Men’s Overall in 1981, 1982 and 1983 and in the top ten on four other occasions. He also had three wins in the individual disciplines: slalom and giant slalom in 1982 and giant slalom in 1983. This was in the time frame when Franz Klammer of Austria, Peter Mueller of Switzerland and Ingemar Stenmark of Sweden were in their prime! Phil Mahre retired from skiing in the spring of 1984 but four years later was enticed out of retirement to join the Professional Circuit. He was 2nd overall in 1989 with 525 points and $79,269 in prizes and was 3rd in 1990 with 490 points and $76,575 in winnings. Phil Mahre was named Ski Racing’s “Skier of the Year” in 1981 and 1982; the “International Skier of the Year” in 1981, 1982 and 1983; the “U.S. Alpine Skier of the Year” in 1976, 1977, 1978, 1979 and 1980 and was the “Professional Skier of the Year” in 1989. 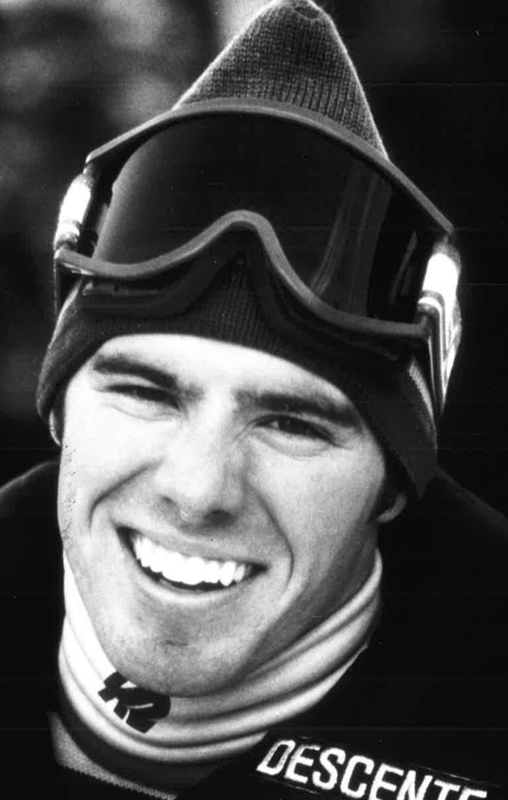 Phillip Mahre was elected to the U.S. National Ski Hall of Fame on 1981. If you notice any errors or inconsistencies in Phillip Mahre's bio, click here to let us know.